There was a moment in my life that I like to call the unmaking. Surprisingly, it was a moment when I felt the lowest of lows and had no understanding of who I was; who I am. Instead I was wrapped up in the titles associated with what I did. Leader. Successful business person. Photographer. Teacher. Wife. Mother. Christian. My heart was inside of the titles, until that moment. The moment began the remaking. It began the searching. It began the discovery. It began the process of emerging into who I am, as a being of God. That was the week of my 30th birthday in 2015. The journey that has unfolded is full of divine guidance and magic. It has brought me to this deep understanding of who I am, instead of what I do. Embracing my inner feminine, my heart, and listening to the calling of connection. It has brought me to a path that encourages me to "Show Up" in my authenticity and in my passion for people and business. I am born in this lifetime to support others as they do the same. As a Holistic Business coach, I want to support individuals who are ready to emerge into their truth of love and authenticity, and who are ready to live a life that is designed by who they are, instead of what they do. It is time for us to remove the layers of what we do, so that we can truly be. It is about creating a connected life from the passion of your heart, that includes your family, your business, your roles, and yourself, instead of those roles running your life. I see your light and love already. It is time for you to see it too. You are right on time and I am so excited to see you shine. 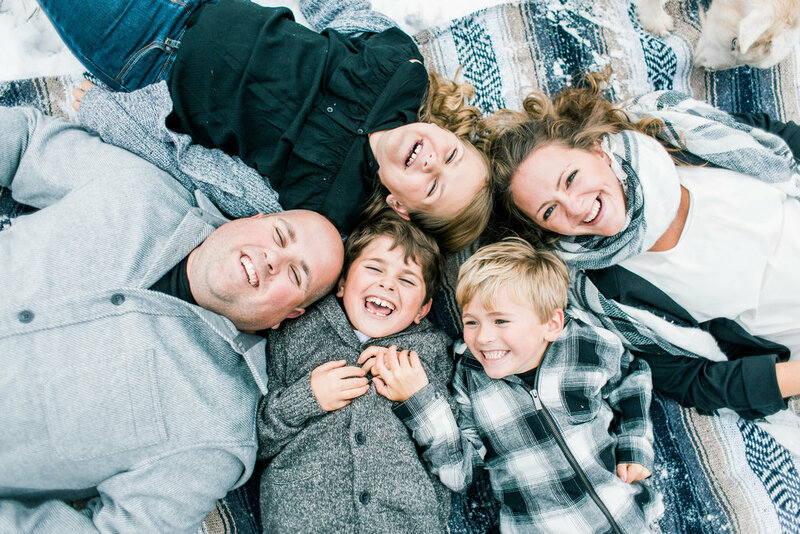 Amanda is a wife to her soulmate and a mother to three glorious little humans, together they live in the heart of the Upper Peninsula of Michigan where she is a pursuer of all things nature, animals, gardening, homesteading and design. In her spare time, she will have her head in a book, curled up with a comfy blanket. Amanda is naturally a healer and intuitive who is deeply guided. She is in constant gratitude to God for this lifetime and the path in which she is embarking on. Amanda Brunngraeber is a Holistic Business Coach with A HUGE passion for helping people develop themselves into their brightest light. She has been a self-employed entrepreneur for over eight years. Her passion is in igniting within people the understanding that they are perfectly whole as they are and loves creating space for people to be seen and heard every. single. day. Together with her husband, they lead a team of almost 10,000 Young Living members who expand the globe, They have created a supportive community, in person and online, that supplies hundreds of resources, access to thousands of people for asking questions and looking for knowledge, and supports their desire to raise the frequency of each of the lives they touch.